Corporate social responsibility (CSR) has become an increasingly popular business activity over the years. More and more companies are actively finding ways to give back to the society – some are engaged in environmental projects while others set out to help disadvantaged children in poverty. The very nature of helping others resonates in our human nature – it makes us feel good to do good. However, in the corporate world, perhaps there is more to feeling good by doing good.As researchers in the Chinese University of Hong Kong (CUHK) Business School find, CSR can be a strategy which helps to create a competitive edge for firms and make their peers in the industry want to follow suit. “No firms operate in isolation. If CSR creates a competitive edge, its advantage should be mostly manifested through a firm’s competition with other firms,” says Prof. Cao Jie, Associate Professor in the Department of Finance at CUHK Business School. 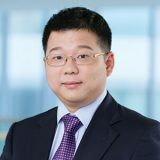 The study titled “Peer Effects of Corporate Social Responsibility” was written by Prof. Cao and his former PhD student Zhan Xintong who joined Erasmus University Rotterdam as Assistant Professor in Finance in August, alongside their collaborator Prof. Hao Liang from Singapore Management University. Their study has attracted much positive attention by winning the Zephyr Prize as the best corporate finance paper in the 28th Australasian Finance & Banking Conference in Sydney, and being featured at the Harvard Law School Forum of Corporate Governance and Financial Regulation, as well as on 3BL Media, a leading news and content distribution company focusing on CSR and sustainability stories. Recently, it has also been presented in high-level events such as the 3rd Geneva Summit on Sustainable Finance in Switzerland, and at the Conference on the Impact of Corporate Social Responsibility in the BB&T Center for the STUDY of Capitalism in United States. Pro. Cao further explains by using an example that if a firm adopts a green technology in its production, it may be perceived as a threat to its peer firms, as some customers who are concerned about the environment may switch to work with the more environmental friendly firm. Investors of these peer firms will also be aware of the potential loss of their companies’ market shares.“To catch up with their competitor and regain their edge, these peer firms will likely adopt similar technologies in the next period. In our study, we build on this competitive advantage perspective of CSR and examine whether and how a firm’s adoption of CSR can affect the practice and value of its peer firms,” he says. Taking a large sample of 3,452 U.S. public non-voting peer firms from 1997 to 2011, the study compares the effect of a firm’s shareholder-sponsored CSR proposals that pass or fail by a small margin of votes in annual meetings on its peer firms’ stock returns and future CSR performance. “Close-call CSR proposals provide a source of random variation of a firm’s CSR that can be used to estimate the causal effect of CSR on its peer firm’s market valuation and CSR practice,” Prof. Cao explains. The study reveals that CSR does matter to peer firms by affecting stock returns and company strategies. The researchers found that the passage of CSR proposals by a small margin of votes on average leads to a significant decrease in peer firms’ shareholder value compared with CSR proposals that are marginally rejected. This shows that CSR has strategic value and firms observing their peers adopting such strategic CSR practices could lose their competitive edge, causing a negative stock market reaction. If this is the case, will a firm’s adoption of a CSR approach affect its peers to change their CSR practice? The answer is yes. As the results show, when a firm adopts a CSR approach, its peer firms will significantly increase their CSR practice as well. This confirms that peer firms perceive CSR as a valuable business strategy and they will follow their rivals to adopt such practice in order to maintain their competitive edge in the market. If CSR matters to peer firms, does the kind of strategy matter, too? Will the peer firms adopt similar CSR strategy adopted by their rivals or start their own initiatives? For example, if the voting firm passes a proposal to enhance its environment strategy which is perceived to be competitive by its peer firms, will these peers also adopt more environmental friendly CSR strategies? The result is again positive with evidence showing that peer firms indeed match their CSR strategies with their competitors. Further analysis has been done on a few sub-dimensions of the most important aspects of CSR, including environment, employee relationship, and workforce diversity. The scores all support the researchers’ hypothesis that CSR is seen as an important strategy and will induce peer firms to follow specifically. When a firm adopts a CSR proposal focusing on specific dimensions such as environment, employment and workforce related issues, its peer firms significantly increase their CSR practice by upgrading their engagement in the same specific dimensions to stay competitive in the game. The study also reveals that the competitive relationship between the firm and its peers plays an important role in shaping the peer effects of CSR – the higher the competition, the more intense the peer effect. Such competitive relationship will lead to a more pronounced market reaction and bigger improvement of CSR future involvement of the peer firms. Moreover, peer effects are stronger in peer firms with greater information transparent information, that is, followed by more financial analysts or having a larger firm size. If one follows the logic that CSR proposals create competitive advantages, one would then expect alliance partners of a firm that adopts new CSR proposals are more likely to benefit from such a competitive advantage through their connection, thus enhance their own CSR practice as well. According to the study, it is indeed the case: when a voting firm adopts a CSR initiative, its alliance partners will also significantly increase their CSR practice. 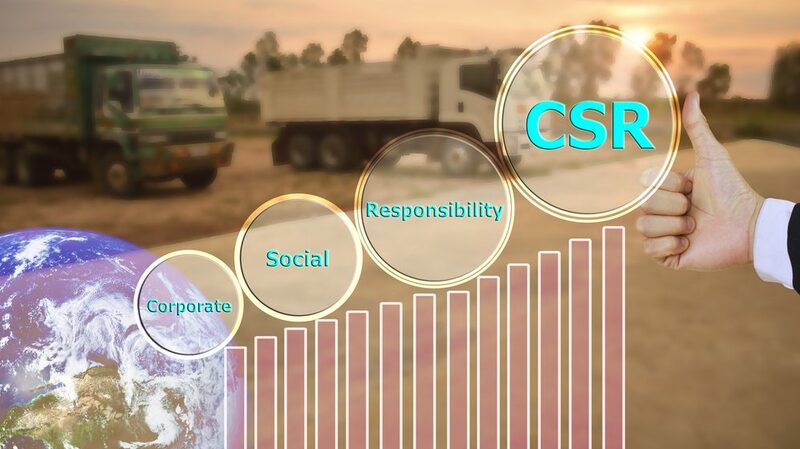 The study has filled the gap of previous research which shed little light on how the practice of CSR can influence the industry dynamics and their peers’ CSR practice. Not only has it confirmed the peer effects of CSR, thus promoting good practice among peers, it has significant policy implications as well. “From the government’s perspective, it is good to have more companies taking part in CSR because it is ultimately good for the society. The government can certainly help by encouraging more firms to pay serious effort in CSR,” says Prof. Cao. “The effort in promoting CSR could be strategically adjusted according to the competitiveness of the industry. The competitive nature of the market would leverage the impact of the policy and help achieve an overall improvement in CSR. Therefore, more efforts are needed for promoting CSR in monopolistic and oligopolistic industries,” he adds. As for companies, they should do more CSR, according to Prof. Cao. “Doing more CSR will not only give them a competitive edge, but also benefit their stakeholders,” he says. You can receive CBK monthly articles by subscribing here.